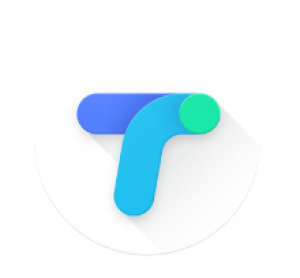 Google Tez , Google Tez Refer & Earn , Google Tez Referral Code , Google Tez Referral Link , Google Tez A-Z Guide.We all are waiting for Google's first UPI ( Unified Payments Interface) app Google TEZ in INDIA from several days. After taking approval from RBI, Google has launched their first digital payments into worlds fast growing economy. India is second most population after China and their citizens are now focusing on technical world and pay digitally. Now Google TEZ app has come up with their refer and earn program According to a survey of google that in future Indians make digital payment around $500 billion every year. What is Google TEZ app ?? Tez is an UPI app that provides a wallet to the users that they should link phone number to their bank account for transferring money digitally to their friends,and family.User can pay big or small type 20 of their transactions upto 1,00,000 to all UPI apps in one day. This app works on Android and ios operating system. TEZ contains different indian languages like Hindi,English,Gujrati,Kannada,Tamil,Telugu. How To Refer and Earn on Google TEZ app ? Download this app "TEZ APP". After downloading this app "Create google pin" or "Your phone screenlock "
Verify your phone no. that links your bank account. After verify your no. "Add your bank account." After adding your bank account you must have to pay 1 Rs to their contact using UPI. You and your friend will both each get Rs 51-51 into their account. How To Earn Through Scratch Cards Offer on Tez app ? As we already know that Google Tez app giving you Referral bonus 51 after paying rupee one to your Referral friends! But you must be aware of their Scratch Cards Offer to Pay 51 or above to your friends and get one free Scratch Cards to try your Luck to earn up to 1,000 Rupees. Google Tez app running this Scratch Cards offer Weekly to send up to 10 people only to get these Scratch Cards. At the end of the Week they are giving a chance to grab 1 Lakh (Lac) as per their Get a Lucky Sundays Scratch Cards. You just have to either send or accept the 10 transactions of above 51 rupees from 10 different people to get the Scratch cards coupons. Exceeding these 10 transactions limit of 51 rupees from 10 different people won't give you any further Scratch Cards Coupons. At the End of the Week. Mainly on Sundays you'll get the Chance to win up to 1 lakh (lac). 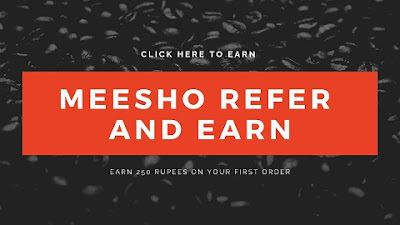 By using Google tez refer and earn you can earn up to 9000. As per their their scheme you can also get Scratch cards for every transactions above 51 rupees. Using that scratch cards you can earn upto 1000/- Rupees. They have also introduced the Lucky draw on 24th September to earn up to 1 lac rupees.